Going to the races? 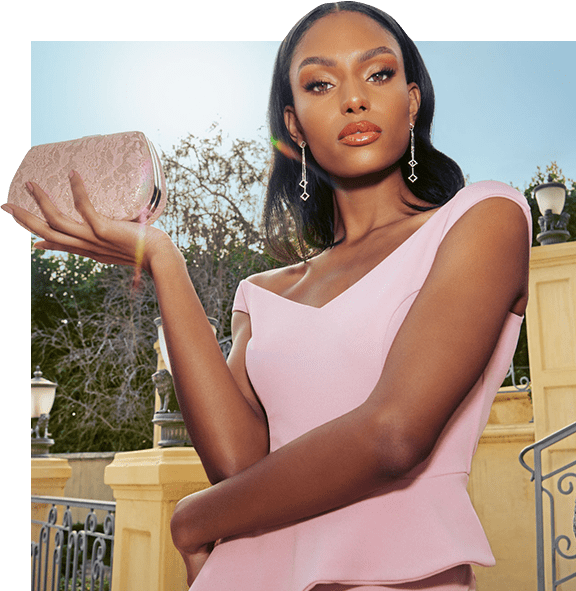 Win best dressed guest with our collection of race day outfits, from stunning floor-sweeping maxi dresses and stylish jumpsuits to chic midi dresses. QUIZ has all the accessories you need to complete your perfect outfit, from elegant fascinators to gorgeous clutch bags – get race day ready! Make an entrance in a prom dress to remember from our striking selection at QUIZ. Choose from a range of stunning maxi gowns or elegant midi prom dresses. Finish off your look with dazzling accessories - from diamante clutch bags to statement jewellery and shimmering stilettos. No matter what your prom style is, dress like a queen with QUIZ. Going to a wedding but have nothing to wear? You’ll find the perfect wedding guest outfit with QUIZ. Shop our range of chic and stylish wedding guest dresses or elegantly detailed jumpsuits. No matter what look you’re going for, QUIZ has the outfit you need for that spring/summer wedding. Discover gorgeous bridesmaid dresses your bride squad will love with QUIZ. From embellished maxi dresses and floor-sweeping gowns to stunning floral midi dresses, QUIZ has every style of cut, colour and neckline, perfect for your bridesbabes on your big day.